Are you looking for a Attractive villa design having 3500 Square feet plinth Area ?.This 3500 Square Attractive villa design host the following Facilities.The Ground Floor plinth area is 2595 Sq ft and having a Porch,sit out,Drawing,Prayer,Dining,Family Living,Bed room -3,Attached Dress & Bath room - 3,Common Toilet - 1,Kitchen-2,Work Area,Store. The First Floor plinth area is 870 Sq.Ft and having a Upper Living,Bed room - 2,Attached Toilet - 2,Balcony. 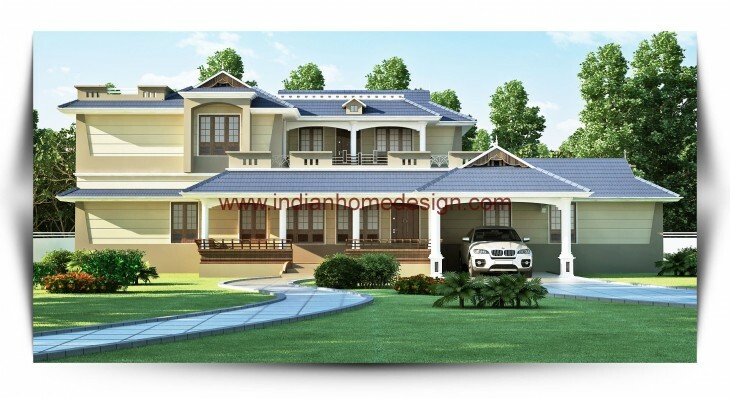 If you like this House design idea theme - "Attractive villa desi gn having 3500 Square feet plinth Area" , do take few seconds to share with your friends and relatives . Let them know what you like.